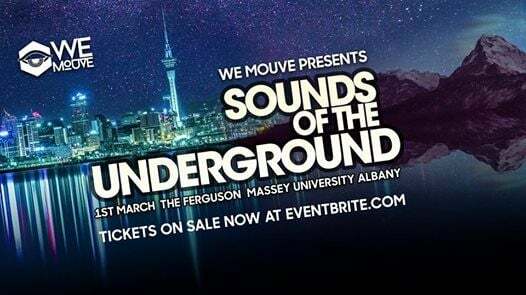 Friday 1st March 2019, 9PM-3AM across 3 stages at The Ferguson, Massey University! Twice a year 1500 people come together to participate in the North Shores most unique electronic dance music event. 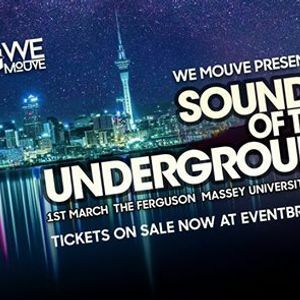 Encompassing a crazy 30+ performance Artists & DJ's from New Zealand & the world. Sounds Of The Underground returns Friday 16th November across 3 zones including: The Underground Carpark, Jägermeister Tent & The Ferguson. R18. No ID, no Entry. Doors close 12AM. No pass outs.